Dry Needling is a very successful medical treatment which uses very thin needles without any medication (a dry needle) to achieve its aim. Dry Needling is used to treat pain and dysfunction caused by muscular problems, sinus trouble and headaches. It is not at all the same as acupuncture. 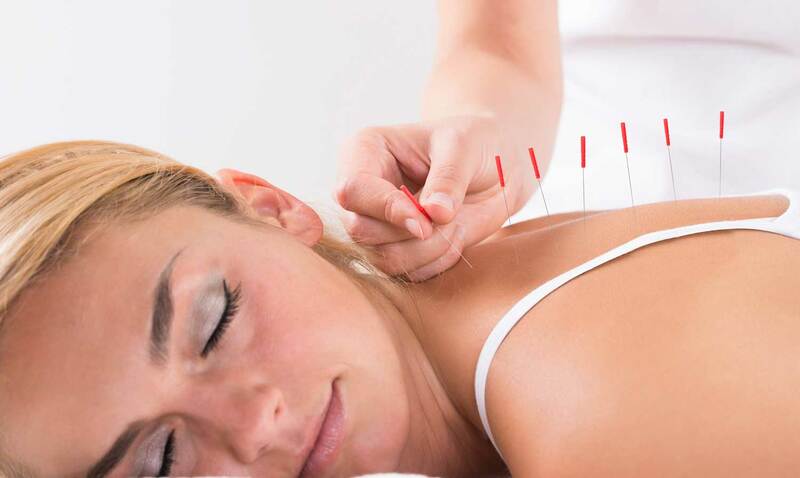 Acupuncture is part of Traditional Chinese Medicine, whereas Dry Needling is a western medical technique. Dry Needling works by changing the way your body senses pain (neurological effects), and by helping the body to heal stubborn muscle spasms associated with trigger points (myofascial effects). There are additional electrical and chemical changes associated with the Dry Needling Therapy which assist in the healing process. It is important to see the needles as just one part of your overall rehabilitative treatment. Dry Needling is not a miracle cure – it is a normal part of Osteopathy, Physiotherapy and Chiropractic treatment. It is vital that you do the exercises and follow the advice your therapist gives you in conjunction with the needling for optimal recovery. Your therapist has been specifically trained in the various needling techniques. The therapist will choose a length and thickness of needle appropriate for your condition and your body size, and then insert it through the skin at the appropriate place. You will feel a small pin prick. Depending on the type of needle technique chosen by your therapist, you may also feel a muscle ache and a muscle twitch. These are all normal and good sensations and mean that you will experience relief from your symptoms. Is there any risk associated with Dry Needling? In general there is a very little risk associated with this technique if performed properly by a trained osteopath. You may have a little bruising around the needle site, much the same as you would with any injection. On rare occasions, people may feel very happy, tearful, sweaty or cold. These symptoms all fade quickly. Fainting may occur in a very small minority of people. There are no lasting ill effects of these side effects. If you are being treated in the shoulder, neck or chest area, there is an additional risk that involves your lung. If the lung itself is punctured, you may develop a condition called pneumothorax (air in the space around the lung). This is a rare but serious problem and you should go directly to a hospital casualty department without panicking if it occurs. The symptoms of this event include shortness of breath which gets worse, sudden sharp pain each time you breath in, a bluish tinge to your lips, and an inability to ‘’catch your breath’’. The hospital treatment for this is very successful for this rare but possible complication. I can highly recommend Chantal Prince at East Sussex Osteopaths, as she has been a god send treating myself and many of my horses. Being a professional horse rider with many competition horses, I feel I can highly recommend Chantal Prince at East Sussex Osteopaths, as she has been a god send treating myself and many of my horses that have come into Little London Stud. She has managed to fix me and prevent injury where other osteopaths have failed to. Therefore, I have no hesitation in recommending Chantal to my friends, family and clients. You will not be disappointed.